USSR, Late November, 1941. 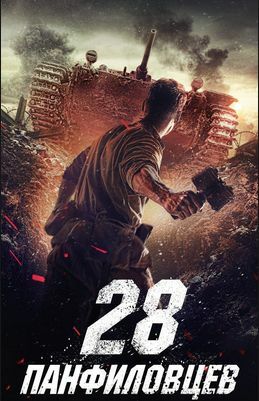 Based on the account by reporter Vasiliy Koroteev that appeared in the Red Army’s newspaper, Krasnaya Zvezda, shortly after the battle, this is the story of Panifilov’s Twenty-Eight, a group of twenty-eight soldiers of the Red Army’s 316th Rifle Division, under the command of General Ivan Panfilov, that stopped the advance on Moscow of a column of fifty-four Nazi tanks of the 11th Panzer Division for several days. Though armed only with standard issue Mosin-Nagant infantry rifles and DP and PM-M1910 machine guns, all useless against tanks, and with wholly inadequate RPG-40 anti-tank grenades and PTRD-41 anti-tank rifles, they fought tirelessly and defiantly, with uncommon bravery and unwavering dedication, to protect Moscow and their Motherland.